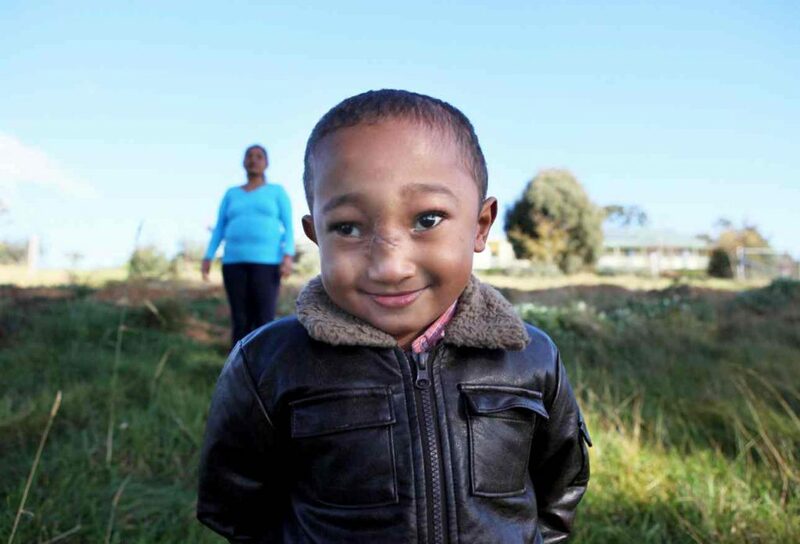 Thanks to the dedication of a whole range of organisations and medical professionals, Martinho now has a new lease on life. 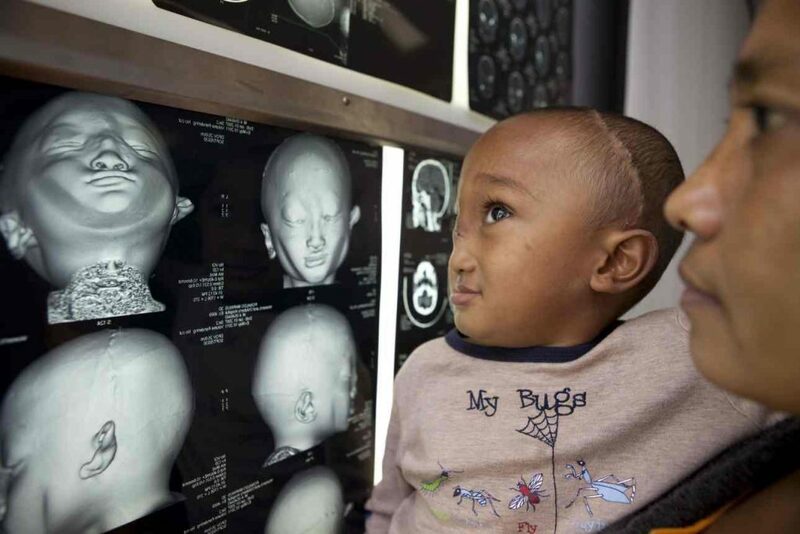 Craniofacial surgeon, Mark Moore, has met quite a few children like eight-year-old Martinho Ronaldo during his years of volunteering in clinics in Timor-Leste (formerly East Timor) and neighbouring Indonesian provinces. 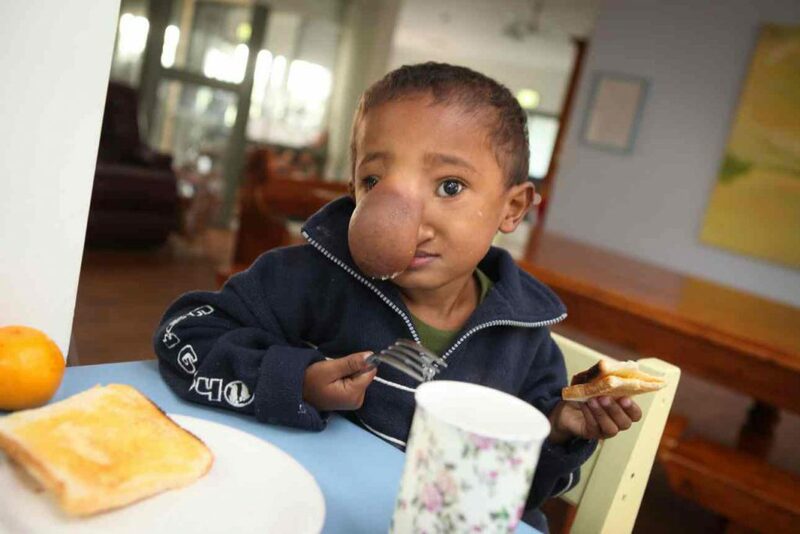 Martinho was born with a condition called a frontoethomoidal encephalocele, which is a herniation of brain tissue and fluid from around the brain. This condition occurs throughout South-East Asia and its cause is unknown. It results in a large protrusion through a hole in the bone of the forehead, between the eyes. “It was clear that Martinho would be an excellent candidate for surgery with our craniofacial team here at the Women’s and Children’s Hospital in Adelaide. The operation he needed could not have been performed in Timor-Leste and after assessing him, I was confident that he would be able to live a normal life post-surgery,” said Mark. Funded by the South Australian Government and Children First, Martinho and his mother, Elsa Sanchez flew to Australia in April 2011, for his surgery in May. 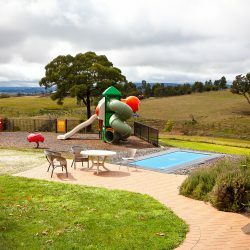 Both mother and son stayed at the Children First Farm in Kilmore to acclimatise before journeying to Adelaide. The Australian Craniofacial Unit in South Australia and Children First established a relationship in 2007. Since then, medical specialists, headed by Professor David David AC, and a passionate and dedicated team of volunteers have provided expertise and support to children and their parents when they are in Adelaide. Sharon Murdock, who co-ordinates the volunteers, emphasised how important the personal approach to a child’s care is, both inside and outside the hospital. “Our volunteers meet the child at the airport, attend every medical appointment, visit them in hospital, take them on outings when they are outpatients and generally try to be like an extended family while they’re in Adelaide. It is often a very hectic time when we are looking after a family here. It’s totally full-on and is both physically and emotionally tiring, yet incredibly rewarding. You know you are doing something that truly makes a difference,” she said. In an operation lasting about three hours, Mark and his team removed the large protrusion from between Martinho’s eyes, replaced the bone and repaired the layers of skin, leaving him with a new face that would no longer provoke unkind taunts from others because he looked ‘different’. Martinho returned home with his ‘new’ nose in 2011.